Bento is a Japanese packed lunch that typically contains a colorful variety of food arranged inside a small box. The more beautiful the presentation the more it’s a sign of love for the person who’s going to eat it. Bento originates as simple packed meals taken by travelers but over the centuries they have become more and more elaborate. 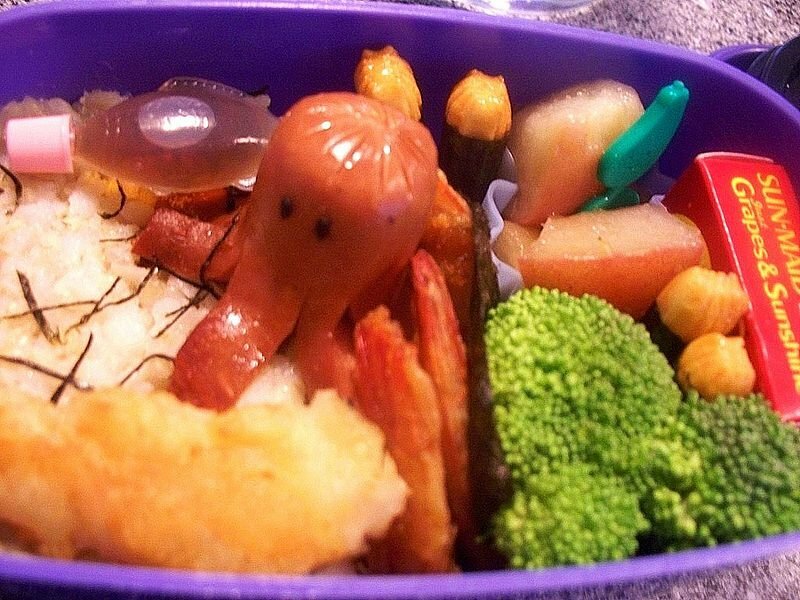 These days bento have become edible canvases that showcase the skill and imagination of their creators. Anything that you carry with you to eat when you’re away from home can be called a bento. It’s a way of eating and this is an essential part of Japanese lifestyle. The earliest form of portable food, rice known as Kare-ii appeared between the 6th and 8th centuries. This is often called a forerunner of the bento. People began carrying dried grains of glutinous rice which they would reconstitute by soaking in cold or hot water to make it soft enough to eat. Eventually the Kare-ii was superseded by nigiri, mushy cooked rice formed into balls. The rice grown in Japan is sticky when it’s cooked so it’s easy to form into balls that can be carried around. This formed the basis of the bento. 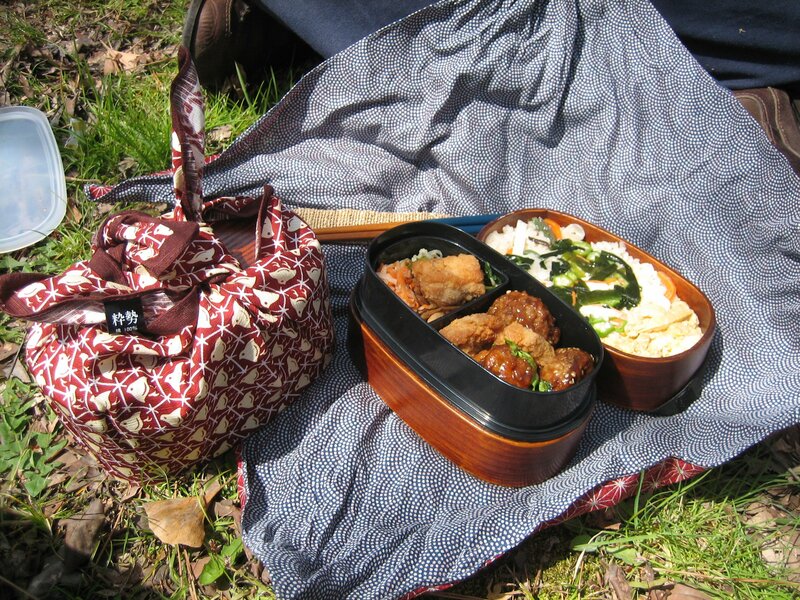 The start of the Edo period about 400 years ago led a big evolution in bento. 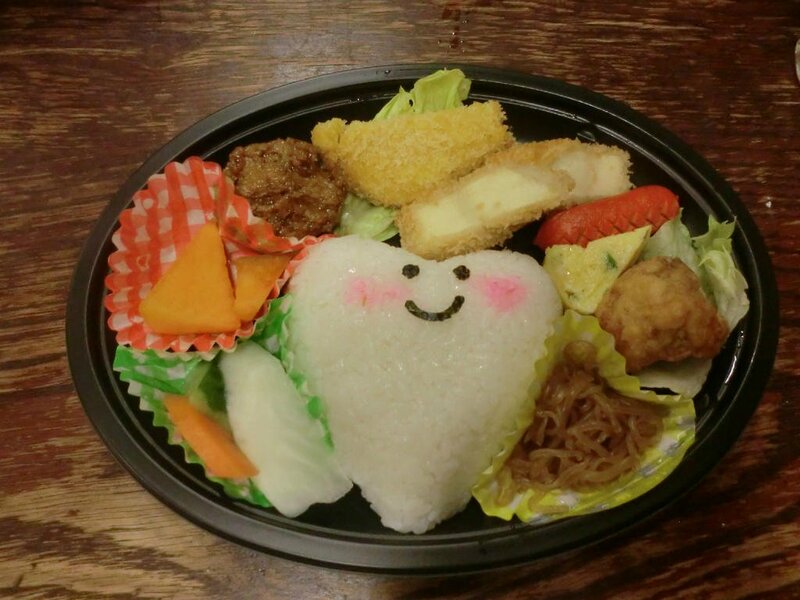 It was common to take a food in bento boxes for parties like for example Hanami. Bento is a portable meal that anyone can take with him on the go. 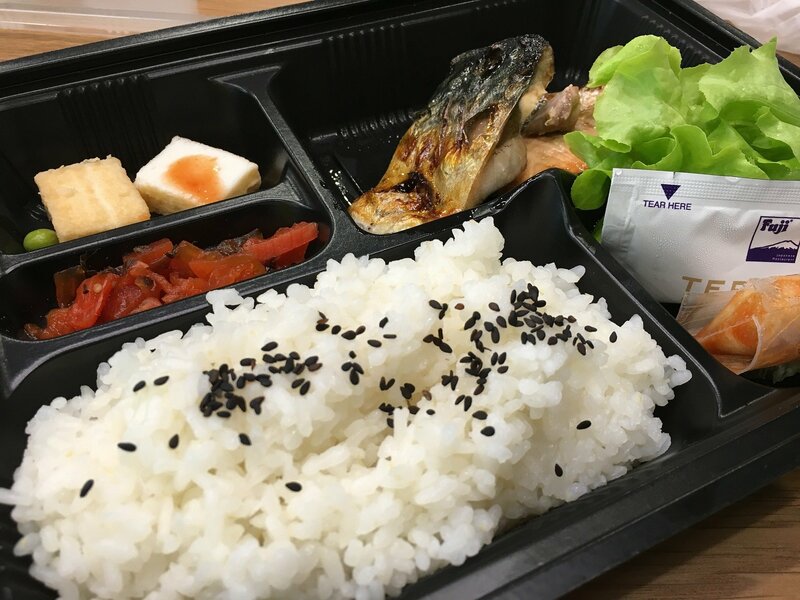 Rice, main items (meat, fish, and eggs) and side dishes (vegetables, mushrooms, seaweed) are typically 3 elements on the bento. Homemade bento offer plenty of scope for creativity. For example you can use a cutter in the shape of a cherry blossom and cut Kameboko (fish paste) or ham into petals shaped pieces. 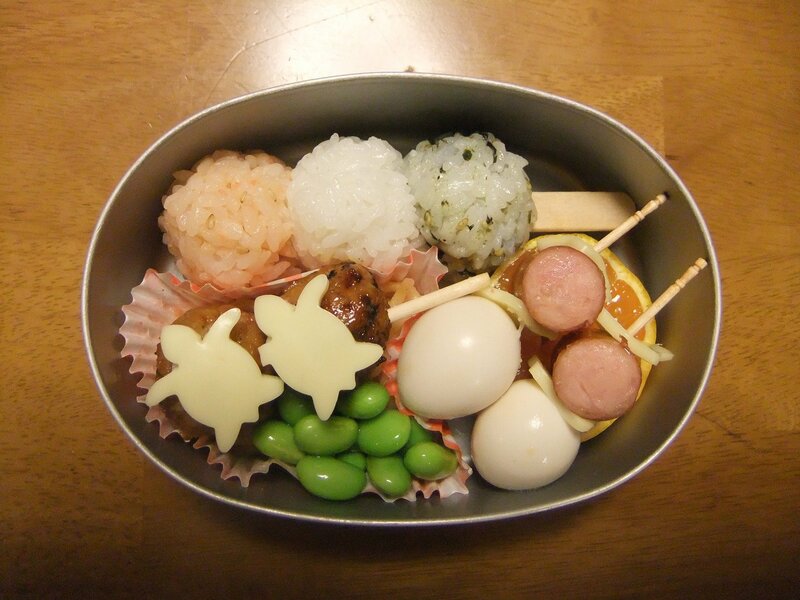 Arranged over rice this gives a bento the perfect springtime accent. The sausage octopus is always a hit with children. Boiled eggs are more attractive if they’re cut with a jagged edge. Slices cucumbers in different ways makes them look more interesting. Some people like to show off their bento designs and creates periodically exhibitions. The growing popularity of bento led to the creation of many kinds of containers with ingenious designs. 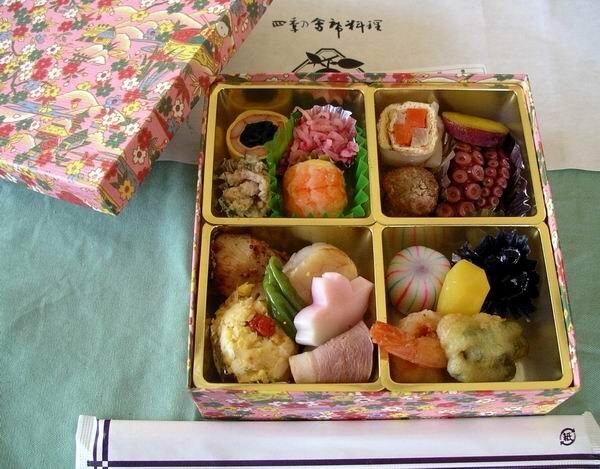 There is one type of bento box that was commonly used by ordinary people back in the old days. Now it’s become highly prized as a traditional handicraft called Wappa or Menpa. It’s made of wood such as cedar or cypress. There is a long tradition in Japan of using wood as a material both the houses and utensils. That same know-how has been harnessed to produce bento boxes as well. Wooden Wappa boxes soak up any excess moisture from the cooked rice. This means the rice doesn’t get too sticky and retains it’s flavor. Sometimes the inside of the box is coated with lacquer to add a distinctive finishing touch. Natural lacquer is used derived from tree sap. Treating the wood this way not only gives the box a more attractive look it also makes it more durable. Because lacquer breathes it still allows the wood of the bento box to adjust to the moisture in the food. There are also many shops that sell bento. 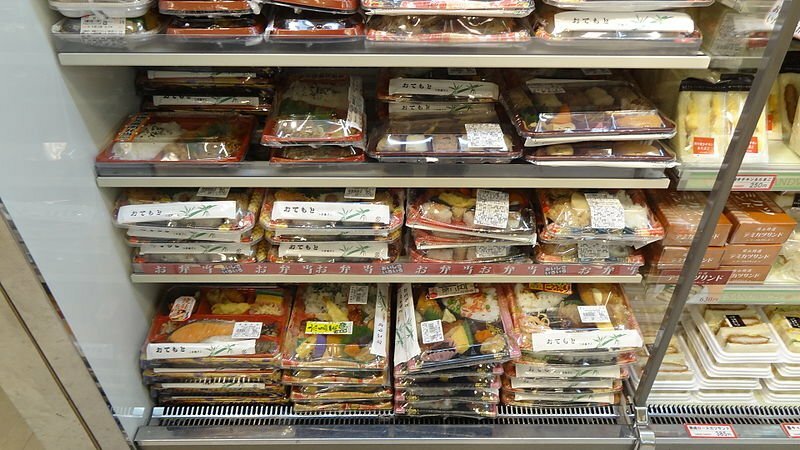 Convenience store chains are constantly developing new varieties and often see a significant spike in the number of customers when they come up with a bento that’s particularly popular. These days annual sales of bento are worth some six trillion yen. Stores are compete to develop the best possible meals. Whether you carry your own homemade bento or buy one in a shop there’s a huge range of styles and ingredients.